Fitment: Fits most cars & vehicles with 6-bolt hub adapter. 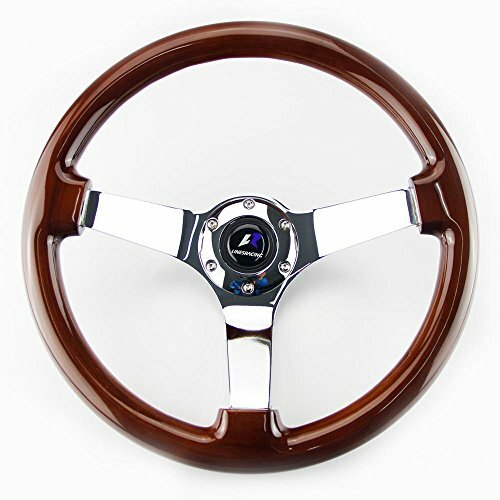 -Made of the iron spoke and wood composite steering wheel. -Comes with 6x bolts, Allen wrench and horn wiring for installation. -Accepts all standard 6-bolt hub adaptor kit ( Momo, Sparco, Nardi, etc ). -Hub adapter is not included. -All kinds of steering wheel come with the horn. If you have any questions about this product by LinesRacing, contact us by completing and submitting the form below. If you are looking for a specif part number, please include it with your message.